Here we will see When Will Be The Last Day On Earth and How to Survive it. What are the Myth and Science Behind all ongoing Debate. Earth is the only planet to sustain life. All living creatures are assumed to be living on this planet itself. From zooplanktons to big creatures like that of elephants are sustaining their life here on earth. Earth is the only planet to have oxygen, water, and soil to grow eatables. These are the basic requirements of the body. Humans are actually a small part of this planet earth. On top of that, whatever happens to earth is directly or indirectly affects the whole system including humans. If it comes to the expiration of this planet, then it is for sure that it would be an end to the human race and ultimately answer the question When Will Be The Last Day On Earth. 1 When Will Be The Last Day On Earth? When Will Be The Last Day On Earth? 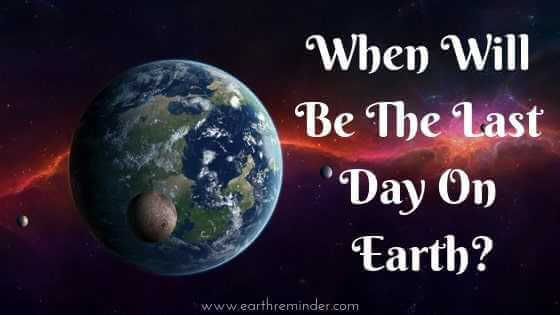 Nothing would prevail and no one would stay alive if the earth is destroyed. The question that is still unanswered is about the expiration of the planet earth. Here are some experimental assumptions made regarding the expiration of earth when talking about the last day on earth. Stephen Hawking is a very famous and known name. He was the former Lucasian Professor of Mathematics at the University of Cambridge. Along with that, he is an author of the bestseller “A Brief History of Time”. One day, while giving a lecture at Oxford University, Stephen Hawking said that he is expecting a disaster in the next few thousand years. He had not said it in vain but had done some experiments before saying it. His experiments are still not known but his conclusion can be taken as an assumption. During the 2016 Year, He told the BBC: “Although there is less chance of a disaster to planet Earth in a given year, but it will adds up over time and will become a near certainty in the next 1000 or 10,000 years. According to a study done by the World Wildlife Fund (WWF), one-third of the natural world has already been destroyed by humans. The reasons could be colonization or industrialization. Due to the consumption rates are unexpectedly high; the planet could face a problem in being sustainable leading to the destruction of this planet and ultimately “loss of the human race”. The expert team of ecologist says that if nature is destroyed, the carbon dioxide emission would be really high which would further lead to global warming, global warming would lead to a rise in sea level and the world would submerge in water. This could be an assumption based upon the idea of an ecologist. This is a report by Will Smith, given on 20 September 2013. He claims that when the sun would start having lack of hydrogen fuel, then it would expand until it swallows the first planet, that is, Mercury, and after that, the second planet, Venus. After having taken these planets, the sun would invade into the orbit of the earth. Due to the heat that Earth would experience that time, would lead to evaporation of Earth’s water making it a deserted area. If no water would be there, the human race would degrade and eventually die because of thirst and heat. This would lead to the desertification of Earth and end of human life. Aliens are assumed to be living on a planet called Niburu. It is a mystery planet which created a human case. It is assumed that Niburu collided with a planet called Tiamat that was situated between Mars and Jupiter which resulted in the creation of the asteroid belt and also the planet Earth. It is predicted that it has been wandering around since then and caught by many sights. It is again assumed to hit the earth. just like it created the earth, it is the only one which would end it. According to the prophecy made by Maya, the world was supposed to end on December 21, 2012. Dr. John Carlson says that whole thing about this prophecy was a misconception from the beginning. There were no Maya prophecies regarding foretelling the end of the world in 2012. Religions indicating their ideas about the last day on earth. Ancient Vedic predictions and prophecies were done regarding the end of the world. The Indian philosophers introduced the idea of Kaluga. According to their idea, if the kalyuga hit the earth, the world would surely to end soon. Kalyuga would break all the norms of innocence and end up destroying the Earth. According to the Mahabharata, the world would end because of Pralaya (natural destruction). According to Christianity, in the book of Revelation, the last chapter of the Bible’s New Testament, the final battle would be done between God and Satan. A word “Armageddon” is mentioned in the Bible which is thought to come from the Hebrew for “mount of Megiddo”. Come Christian interpret this Book of Revelation as a roadmap that leads to the place where exactly the world would end. 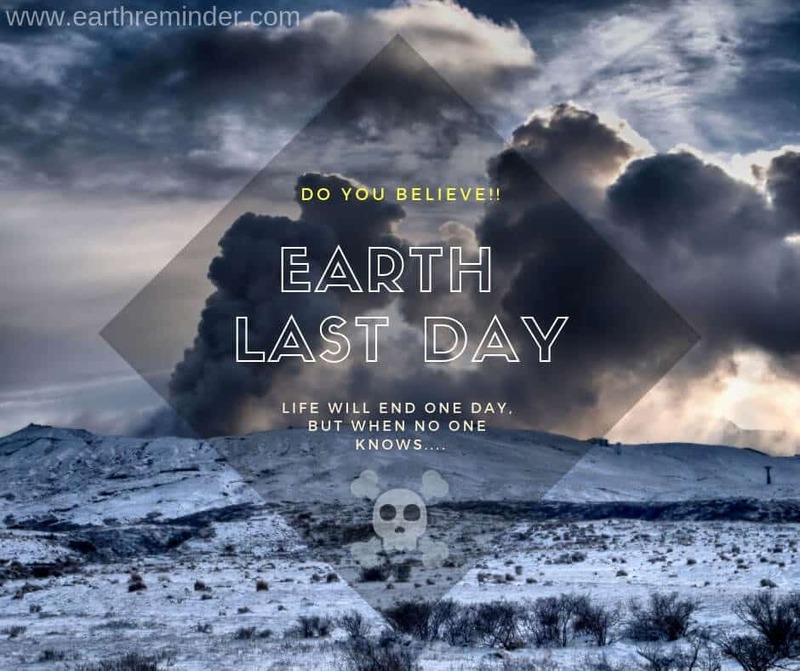 Hope you have got a good idea about the last day on earth and why or why not earth will end because of the science behind it. Comment your theory and let us review it. my own blog in the near future but I’m having a hard time deciding between BlogEngine/Wordpress/B2evolution and Drupal.